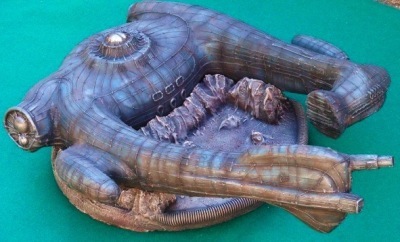 Over the course of the last fifteen years or so I have collected an interesting assortment of classic and contemporary alien statues and resin kits. 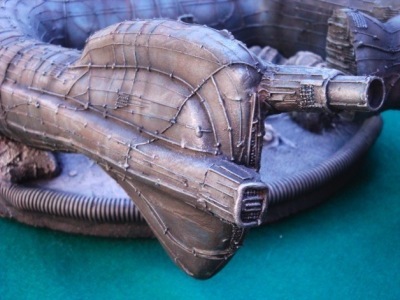 Most, if not all have appreciated dramatically in value as the franchise continues to grow and many of the earlier pieces have long since been out of production. 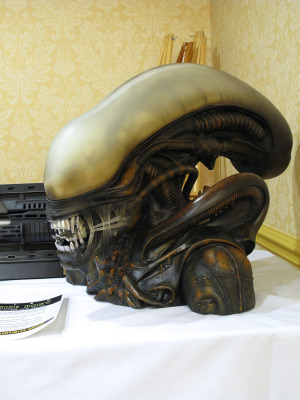 The recent death of HR Giger, the individual who conceptualised and developed the "Alien creature" has further pushed demand and individual auction prices up. 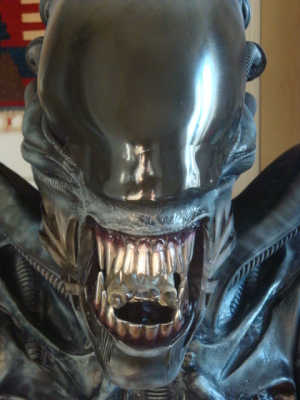 Giger's alien is considered by many to be one of the most terrifying yet beautifully rendered alien lifeforms in the movie and science fiction industry. Outlined in the next few pages are some of the pieces that are currently, or were at one time part of my collection. 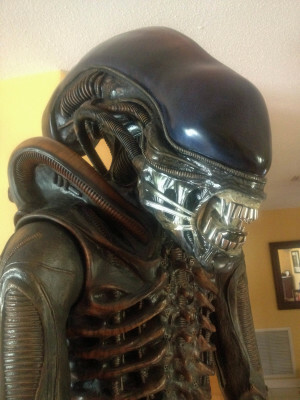 Clearly this is one of the most impressive alien busts that was produced about ten years ago by the Hollywood Collectibles Group (HCG). 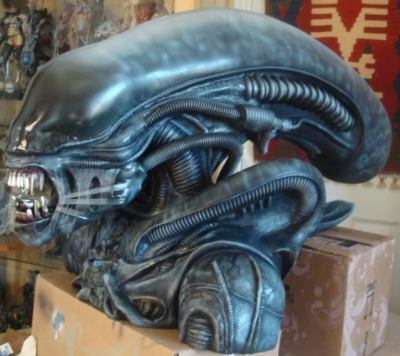 Using the original molds from the very first Alien movie they cast a limited run of these rather large, full size busts which include the head and shoulders. The attention to detail was very good but the opaque white color of the dome was all wrong including a rather disappointing overall paint job. The mouth area is one of the most impressive if not noticeable features along with the chrome silver teeth but I knew that this piece would need additional work. 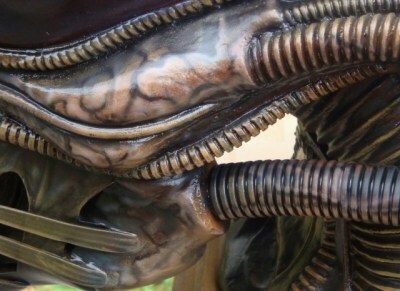 I contacted a friend and fellow alien artist "The Reverend" and commissioned him to significantly modify the Alien. 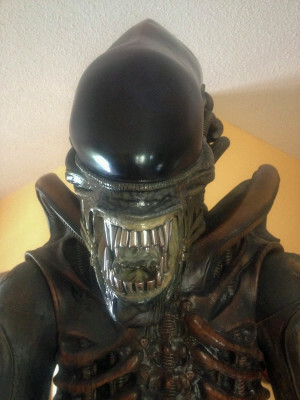 We added additional tendons to the jaw, augmented the lips that would have made Mick Jagger proud and airbrushed the entire piece that dramatically transformed it into one of the most realistic Alien busts currently in existence. Sadly, this piece was recently sold to a private collector due to its large size and limited space in my stasis tube. Pictured to the right is arguably one of the most sought after life size statues of the Alien creature. 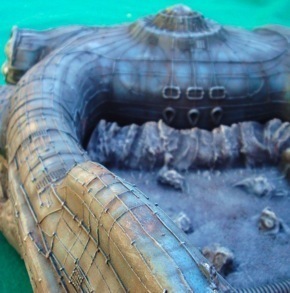 This piece was also cast by Hollywood Collectibles from the original molds and stands over seven feet (7) tall. The picture does not do it justice. 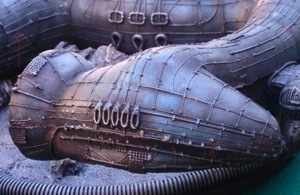 The Alien arrived on a pallet containing five very large crates which took a full afternoon to assemble. The head was removed and sent off to "The Reverend" who performed a similiar restoration as the one outlined above. 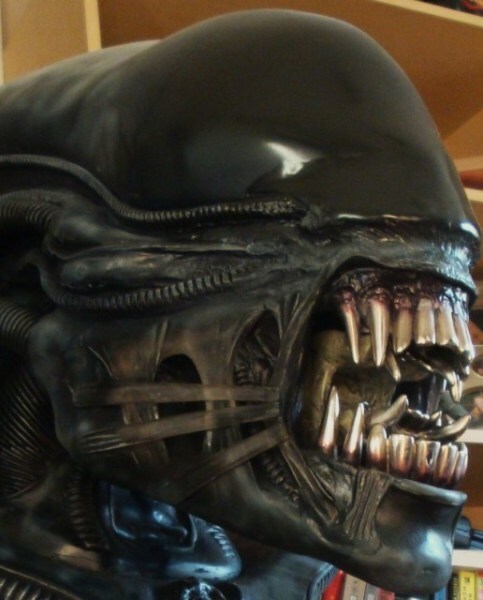 The interior of the mouth was airbrushed a pale, ghoulish white color and the jaw and lips were augmented along with tendons and tubes being added as well. At one point I considered bringing "The Reverend" down to Florida in order to paint the rest of the statue since the overall paint job was not accurate to the original movie. 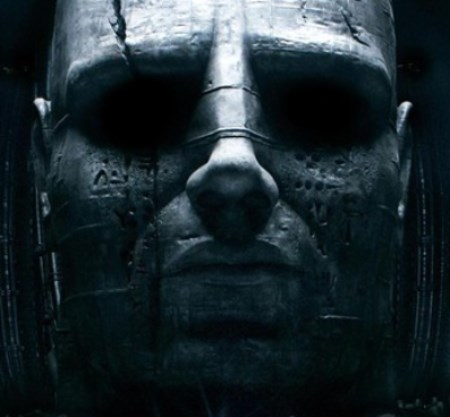 Still, the changes to the head add tremendous realism to this unique and impressive statue.